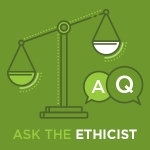 Apra : Blogs : Ask the Ethicist: Can We Accept Donations From Cannabis Companies? One of our gift officers recently met with an executive from a cannabis company. Our VP is very excited about the potential to tap into a new industry, but we have some concerns regarding the legality of accepting gifts from companies in the cannabis industry. Can we accept the gift since cannabis is legal in our state? What about it not being legal on a federal level in the United States? I don't know how to unpack all of this. Please help! Your frustration is totally understandable. The cannabis industry is a new industry and the laws are confusing and complex, particularly in the United States. As of 2018, 10 states have legalized recreational and medical marijuana, and 23 states have legalized just medical marijuana. Bear in mind that marijuana is still illegal on a federal level, and the non-profit designation of 501(c)(3) is a federal designation. While the federal government has largely not enforced marijuana laws over the last few years, there is a threat that by accepting donations, your organization's non-profit status could be in jeopardy. Please consult your organization's internal legal counsel before making any decisions about accepting gifts from the cannabis industry. For our Canadian colleagues, the recreational and medical use of marijuana is legal across the country. In Canada, it is legal for charitable organizations to accept gifts from cannabis businesses. The main consideration is whether it is in the best interest for your organization to accept gifts. For example, a children's organization may not want to accept gifts from a cannabis business as to not endorse marijuana use in youth. Again, please consult your organization's legal counsel to determine if accepting a gift is in your organization's best interest. For more information, please check out Apra Canada's webinar for Apra Chapters Share the Knowledge: "Working your Way Through the Weed(s)" by Apra Board Member Tracey Church. For additional resources, please check out the Ethics Toolkit. This is a new and evolving conversation, and the Ethics and Compliance Committee is keeping up to date on new questions and issues. The Committee will update the Ethics Toolkit with new resources as they become available.